The specially crafted formulas include a botanical blend of coconut milk and aloe vera. The system gently cleanses while smoothing and nourishing hair to leave it feeling moisturized and beautifully soft. 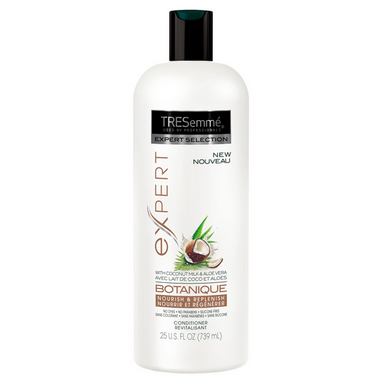 Directions: Expert's Tips: Squeeze a generous amount of conditioner into palm and rub hands together. Apply to damp hair focusing on ends to mid-lengths first. Then work any remaining conditioner up towards the roots. Leave in for 2-3 minutes then rinse thoroughly.